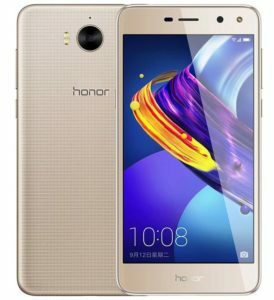 Huawei’s Honor Brand has just introduced Honor Play 6, a budget smartphone with 4G VoLTE support. It is the Chinese version of the Y5 2017 that was introduced earlier this year that packs a 5-inch HD display, is powered by a 1.4GHz quad-core MediaTek MT6737T processor with 2GB of RAM, runs on Android 6.0 (Marshmallow) with EMUI 4.1, has a 8-megapixel rear camera with dual LED fash and a 5-megapixel front-facing camera that also has soft LED flash. In addition to power button, there is a separate easy key on the left side of the phone that lets you assign actions such as launching apps for press, double press, and press-and-hold gesture. 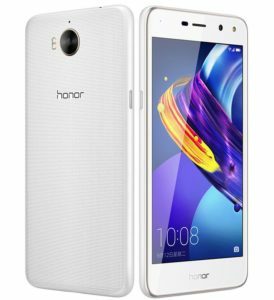 The Honor 6 Play comes in White and Gold colors, and it is priced at just US$ 91. The device will be available in China from today, September 7th, with international availability, possibly in October, 2017.